Editor's note: Leah Ward Sears stepped down this week as Chief Justice of the Georgia Supreme Court. In 1992, she became the first woman -- and youngest person -- appointed to Georgia's highest court. 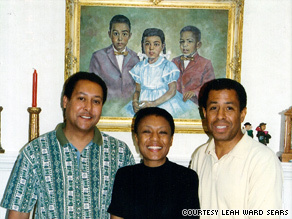 Leah Ward Sears, with her brothers William Thomas (Tommy) Sears, left, and Michael Sears.